Why is Communication Important in Construction? The importance of communication in construction cannot be overstated. The most common reason for construction disputes is a breach in communication and expectations. Large construction projects have an enormous number of moving parts and hundreds of people involved, thousands if we include manufacturers, sales personnel, truck drivers, insurance providers, etc. As construction managers, we see all-too-often that a simple lack of communication can snowball. For example, an architect presents the owner with a design for approval and then a long chain of events follow that involve detailing, specifying the product and how it is to be installed, then contractor submittals and shop drawings, eventually ordering the material, traversing the supply and delivery chain, until finally some product shows up on the jobsite. A worker is then dispatched to install the material or box of parts. None of these folks have been privy to any conversations with the owner or architect on the original intent. The simple length of time it takes from design to supply to delivery chain creates enormous opportunities for mistakes, which often lead to disputes. Even if the subcontractor or material supplier is clearly liable to replace the incorrect product, time has still been lost and someone must pay for the cost of that mistake. The most common reason for construction disputes is a breach in communication and expectations. The above example highlights the need for effective communication in the construction industry. The traditional way to preserve accuracy is the documentation process: all designs, specifications, assumptions, contracts, costs and schedules must be clearly documented in writing. Communication is often only as good as the underlying documents. If the design drawings by the architect are not complete, the design is subject to misinterpretation. If the submittals and shop drawings are not carefully prepared, checked and corrected, or if the purchase orders or contracts are not spelled out, the likelihood for mistakes is amplified. Complete, unambiguous drawings and clear, written specifications go a long way to creating accuracy and quality in delivery of the final product. Clear and accurate documentation is essential to ensure quality delivery. Buildings are designed and built by humans and there is much necessary verbal discussion that cannot be fully recorded. In this way, expectations are established for better or for worse. The owner is often too busy, uninformed or unable to review all assumptions, so the project requirements are delegated to design representatives, typically the architect. Efficient communication between project team members is paramount. For a large project, in addition to the architect, there are a host of engineers typically including mechanical, electrical, plumbing, fire protection, acoustic, civil and geotechnical, as well as specialty consultants, interior designers, lighting designers, landscape architects, communications & computer system designers, energy and green building consultants — the list goes on and this is just on the design side! Receiving this voluminous amount of information are the general contractor, specialty contractors like security and automation and perhaps 20 to 40 subcontractors. Each trade will have its own team of project managers to order materials, workers to install and supervisors to oversee. With such an army of participants, it is easy to see why communication is so important in the construction industry. All participants must be kept informed and integrated with the project team as a whole. As complexity and scale of a project increase, this often warrants the retention of a professional construction manager, or owners representative, to protect the best interests of the owner and the project as a whole. Concerted effort is necessary to facilitate effective communication, which begins with the retention of each and every member of the design team. A successful project demands that all professionals involved are experienced, appropriate and are team players with complimentary skill sets. Once on board they need to be coordinated and managed to bring out their best work to meet the vision and goals of the project. Chairing regular meetings, conference calls and a systematic organization of project documents are some of the tools a construction manager will utilize to bring efficiency to the project and foster communication. Remember, many of the players in a project have never worked together before; they are bound only by the contractual obligations of this project and should be inspired to perform their best work collaboratively as a member of a larger team. The best projects are created by the best teams as a whole, not by one or two participants. Establish a chain of command for communication in construction. It is critical to establish a clear chain of command for the input and distribution of information, documentation and decisions. For a complex project, the owner’s representative or construction manager generally takes the lead on contractual, schedule, budget, business and risk management matters, while the architect coordinates the design. Long before construction begins, coordination of the various design disciplines occurs during the design or preconstruction period. It is in this stage where the underlying goals and assumptions of the project are defined. To make sure what is designed is buildable and meets budget and schedule criteria, we generally insist on bringing in a general contractor early for preconstruction services. This is in essence a communication function to ensure there is significant overlap between the designers of the project and those who build it. 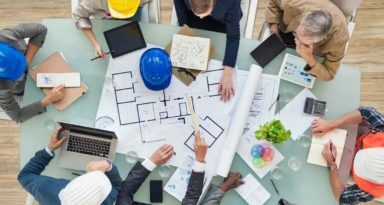 In attending design meetings, the general contractor performs a valuable service in suggesting alternatives, commenting on constructability and providing detailed information on budget and schedule early, long before the first shovel hits the ground, to assure that project goals and expectations can be met. 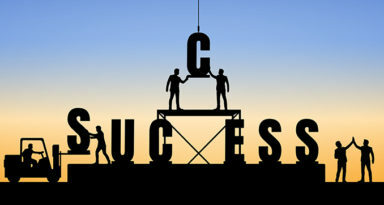 For a project to be successful, everyone needs to be motivated to work together collaboratively. As much as possible, an atmosphere of trust needs to be fostered so that team members will promptly inform one another of potential problems that could affect the project. A good construction manager serves as a moderator of the many conflicting requirements that may face each team member and when disputes or questions arise, acts as a buffer between parties, listening to each carefully with a view to resolution. Simply by manifesting the role of the independent owner’s representative, many issues can be disarmed before they grow into misunderstandings and disputes. Mistakes are unavoidable in construction, but they can be mitigated with proper communication and the effective use of construction management processes. Relying on a professional project manager to provide careful, proactive attention to detail, many problems can be anticipated early and mitigated. When the project finally commences construction, the contractors are much more likely to be able to accomplish the project smoothly, on time and within budget.